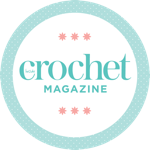 Home > crochet > Crochet blankets – my guilty pleasure! I think I might have a crochet blanket problem. Whenever I’m under any stress I seem to get a compelling urge to create, and the only thing I seem to obsess about is blankets! As we’re about to jet off on holiday and I have a lot of work on in the day job, I’ve found myself once again starting a blanket… but I swear this time it was an accident! A sneaky progress shot of my Sophie’s Universe taken in the airport lounge! Getting a few odd looks! I’ve joined in with the Sophie’s Universe Crochet Along (CAL for short) which has been tempting me for weeks over on instagram. I must say, after having crocheted mostly colourful striped blankets in the past, this is a bit of a treat! The pattern is worked in the round, starting with a gorgeous mandala which is then worked into a square, and then an octagon… and the CAL hasn’t finished yet, but we’re told it will end up as a square again. It’s pretty addictive following a pattern step by step like this, and seeing other people’s results on instagram has been amazing. The last time this urge struck me was only a few months ago when I hooked up a king sized granny stripe blanket with my attic24 yarn pack from the Knitting and Stitching show. This granny stripe has now become by couch blanket of choice… not just my choice either! My cats can’t get enough of it! There’s something just lovely about the Stylecraft Special DK yarn – it’s cheap and cheerful and because it’s acrylic it takes the day to day stress of being a favourite blanket. The granny stripe is a bit big to photograph indoors – but I’m hoping to get some better pictures in the summer! Anyway, as I mentioned, I’m about to head off on holiday – I’m actually writing this from the airport lounge! I had visions of taking inspiration for crochet projects from the sights and experiences of this trip we’ve been planning for months – and instead, I just know I’m going to be making this blanket! Packing my crochet bag for this trip took longer than packing my clothes – I’m taking the Sophie’s Universe blanket, my Tunisian crochet WIP, and some extra emergency yarn… and a yarn budget to spend in some American craft shops. Does anyone have any recommendations for American yarns? I’m really excited to try some! Hi Elsie – Your blanket is over the top gorgeous! And I love all the yarn you’re packing for your trip. Where are you heading in America? I live in NY and I bought beautiful yarn directly from the people who raise the animals, shear them and then spin the yarn. Have a fabulous trip!